Each year, thousands of children born in the United States develop a serious condition known as cerebral palsy. Cerebral palsy is caused by damage to the part of the brain that controls movement. This condition often leaves children physically impaired in the long term. For parents, caring for a child with cerebral palsy can be emotionally overwhelming as well as financially challenging. 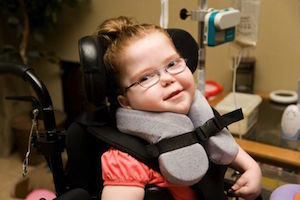 If you suspect that your child may have developed cerebral palsy due to medical negligence, the Baltimore cerebral palsy lawyers at Arfaa Law Group can work diligently to pursue the compensation that you deserve for your child’s harm. Our birth injury attorneys are familiar with the nuances in this complex area of the law and know how to vigorously assert a family’s rights. Cerebral palsy may result in physical disabilities as well as cognitive impact and even seizures. Damage to the motor center of the developing brain can take place during pregnancy, during childbirth, or after birth up to age of three. Those with cerebral palsy have difficulty with motor coordination, tremors, joint and bone deformities, and balance, which affects walking. Medical negligence is generally defined as the failure of a health care provider to use the standard of care that would have been deemed appropriate by a reasonable medical professional in good standing in the same specialty treating a similarly situated patient. If a medical professional failed to use the appropriate level of care during the pregnancy or childbirth process, and it was a direct cause of your baby’s cerebral palsy, you likely will be able to receive compensation. It will be important to show through expert testimony that the cerebral palsy did not result from routine childbirth complications that were outside the medical professional’s control. Under Maryland law, a victim of medical malpractice can potentially seek economic and non-economic damages. Economic damages are quantifiable costs, including medical expenses, past and future lost income, and the costs of future treatment. In terms of calculating future economic damages, we can work closely with experts to estimate the full extent of the projected costs. Non-economic damages are forms of loss that cannot be quantified precisely, including pain and suffering and mental anguish. Cerebral palsy can create a lifetime of complications for a child. At Arfaa Law Group, our experienced Baltimore cerebral palsy attorneys understand the devastating impact that this condition can have on a child and his or her parents. You can trust that we will thoroughly examine the facts of your case and determine all of your options. We strongly believe in holding negligent parties accountable for the harm that they cause. Our medical malpractice attorneys proudly represent victims and their families throughout the State of Maryland. Call 410-889-1850 or contact us online to set up a free consultation.